Somato Respiratory Integration  Wellness Education* is specifically designed to educate you to your body rhythms and inner wisdom through focused attention, gentle breath, motion, and touch. As a consequence of such heightened awareness, you may have more resources to heal and advance through your Network Spinal Analysis Care. 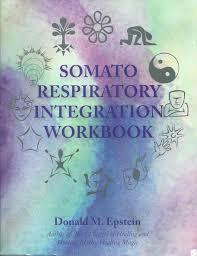 Although you may have had instruction in other self-awareness, breathing, movement, and meditation programs, please understand that Somato Respiratory Integration or SRI is different. Rather than attempting to strengthen a muscle group or body part, SRI strengthens your inner connection. With SRI you will experience having the higher brain focus its attention on a region and/or sensation that was formerly repressed, discarded, denied or desensitized. This work allows for greater connections between your higher brain and your body, fostering the ability to focus your attention on your body and develop internally customized structural choices for your body and for your life. Many of our crises occur when we become unconscious of our body, or a region of our body, and take it for granted, or we loose an important element of the interface between body and mind. Symptoms of all types ask us to pay attention, and that is often the last thing most people are looking to do. Symptoms force us to be in touch with our body, stop our usual routine, do things differently, breathe differently and even at times express emotion or make foreign sounds. There is healing in this and wisdom to be gained. It is hoped that with SRI care you will not need to have a severe crises to help you to pay better attention to yourself, and with the addition of NSA care you will have the available tools to do this. It is easier to make frequent small reassessments and adjustments in life than to have life force you to make a sudden large change. Our intent is to help you develop the somatic habit of consistent spontaneous reassessments, self-adjustments, and corrections of your body, its structure, and its relationship to your life. In this way you can be more flexible and adaptable to the demands, suggestions, and encouragements of life. Although many methods for healing may use varied breathing techniques, body motion, emotional release, or self-touch to produce an altered experience, few produce as powerful a total body response and give you the practical take home skills that SRI does. Practice Members in NSA care commonly remark that NSA is the most powerful wellness and healing modality they have ever experienced. Many say the same about SRI as an empowering self-help and self-advancement tool. We offer you the benefits of the additive value of both systems. The exercises of the 12 Stages of Healing which produce Somato (body) Respiratory (breath) Integration will be taught in group/private sessions. These exercises will help you to experience your body more fully with safety and peace. As a home support program of self-care, they will also further your advancement in Network Care. It is our experience that these exercises allow you a positive and constructive tool, that you can use to deepen the understanding, trust, and well being of your body-mind. In times of symptom crises, SRI will provide you with a method to redirect your bodys attention, release tension, and promote greater ease. Your SRI Wellness Educator will not diagnose, treat, or offer advice on any disease or symptom. SRI Wellness Education is not specifically about your condition or symptom. It is about you and your available and developing resources. It is common for self-awareness to heighten during the course of care in the NSA office and during and after SRI sessions. Since you will be learning to pay attention to the bodys subtle cues, areas that were disconnected from your awareness will awaken their connection. You may experience physical sensations such as energy, vibration, heat, or at times discomfort. You can discover where you can touch to amplify peace, your inner  nuclear core of energy and where you store a resource of chi (life energy) for your use. You will learn to redirect your body-minds attention from a distressing circumstance of the moment to inner safety and peace. Check website for updated SRI Calendar or call office for individual and/or group sessions.